My Nintendo has now been live for five months, launching on 31st March in most territories. The Club Nintendo replacement has done some things well, such as utilising the much improved Nintendo Account system, but has also had its critics. Not all have been impressed with the rewards on offer, in particular, and an ongoing bone of contention is the limited time to spend earned Points. The good news is that Nintendo has extended the validity window for Gold Points, the currency earned from buying games on the eShop. All of your Gold Points are now valid for 12 months, instead of expiring after six months. The downside is that Platinum Points (those you earn from regular activities such as accessing Miiverse or playing Miitomo) still have a six month validity period. Effective immediately, the validity of Gold Points has been extended to a period of 12 months. This change applies to all Gold Points already earned as well as those earned from now on. The expiry date for Gold Points is now set to the end of the month, 12 months after they're collected. • Gold Points collected on 15/06/2016 expire after 30/06/2017. • Gold Points collected on 31/10/2016 expire after 31/10/2017. Platinum Points are not affected by this change. Their validity period remains at six months. It's worth noting that the initial batch of Platinum points many of us earned early in the service will be expiring soon, in about one month's time. Hopefully the upcoming Nintendo Direct will include some My Nintendo goodies to encourage us to spend. Well, I guess this is nice. Gives you more time to spend them, if anything. Yay! Thanks Nintendo! I hope there'll be NX gold points goodies at launch! Kewl. Now I get to not spend them on anything even longer. @Dakt 100% agree, I've bought everything I can that has been made available and i'm still sitting on thousands of points. We need a ton of new deals! @Dakt I'm going to wait for the Direct and, if nothing comes out of that, just get the 3DS HOME Themes. I agree though, the Rewards have been a bit disappointing and I've struggled to spend the Platinum ones (that's my account in the article pic!). And that's with buying the Twilight Princess Picross! (Which I quite liked, to be fair). @Dakt Are you not giving away the code for it anymore then? No more My Nintendo birthday discounts? I only heard of July birthday discounts from news sites in the US and the ones on Japan back ladt December-January..
@ThomasBW84 I think it mirrors a lot of ours. I have a little more Miitomo and gold coins, but the same amount of platinum coins. The coupons don't do it for me if they keep picking games I own, and I stopped playing Miitomo a while ago. They'll add these My Nintendo codes when NX games starts rolling for sure. Who knows they'll add them on upcoming 3DS games. How about giving us some more stuff to spend these on? I've got thousands of Platinum points that may go to complete waste. This is good news, Nintendo's lack of good content for gold coins, and their expiring in spite of that was going to leave a very sour taste in my mouth. Platinum coins I'm fine with they are free and easy to get. I used to look at Club Nintendo on a weekly basis to check out the rewards. I log in to My Nintendo about once a month. Nothing to spend my points on; nothing to save them for. My biggest gripe? Folk purchasing physical games are forgotten about. Or are they being phased out? @Tsurii Yeah, I picked up the WarioWare one too. I was chuffed with both those free games, actually, I've just found the points have started to pile up in the last 2-3 months. Great but please give us something to spend them on ! My Nintendo is complete nonsense. What is the point of it? At least with club nintendo they got feedback and we got things we actually want. This is just nonsense. i have more platinum coins then gold coins. i think i have 2425 platinum and only 60 gold. i wish there were games other than that picross game that we could spend our platinum coins on. I miss club Nintendo I have so many vc games that I don't even know which ones half the time. They can extend the validity period to infinity but it'll be pointless unless they add something worthwhile for us to spend the points on. I've 4,400+ platinum points and 100+ gold points but nothing of any real interest to spend them on. I completely forgot My Nintendo even existed. I should start using my Platinum Coins. ... If I find anything. I can't understand why they don't add at least 2 or 3 VC games each month.You have to spend money to earn the gold,maybe if there was a bigger selection it would encourage more spending. They can add something worthwhile but you'll see someone complain regardless. Well thank goodness. I just realized I have 550 gold coins and 2,000 plats, and I don't even try to get coins anymore. Haven't touched Miitomo in forever and already got Zelda Picross and WarioWare Touched. I just hope yet give me something to spend my coins on. I own literally every single game on the rewards page, some of them I own multiples of digitally and physically. They should create an exchange rate for coins and eShop wide discounts. Or just coupons. But either way, expand it so the discounts can be used for anything on the eShop, even if it costs a little more coins than usual. Oh I best get spending my platinum points, didn't realise they expire. Looks like it will Home Themes and whatnot! I'll keep my Good coins for now though. If they did physical rewards I'd find it much easier to spend my coins. Instead it's just discounts on games I already own or blumming Miitomo costumes! I miss the Nintendo Premium promotion. At least with that if you bought something under the cost of £4.50 you'd still get rewarded with building up to getting the £5 eshop code. With this one I've gotten many things and gotten nothing because they fall under the £4.50 minimum for the 10 gold points. @EllenJMiller Ya that promotion was pretty good. This made me curious to log in to My Nintendo and see what I've been missing since I stopped even bothering to look. Short answer: nothing. I've just spent 5 minutes staring at the screen thinking, "I must be missing something." Just awful! Am I being rewarded here or punished for something? Feels like the latter, every time. Agree with @JaxonH - just let me use my stupid coins on any eShop purchase. I just went through the Platinum Points prizes. There is still nothing of any value to buy. My Nintendo is somewhere between 12 and 14x worse than Club Nintendo thus far. The barebone discounts do not have me satisfied at all. Club Nintendo was so much better at this than My Nintendo. All the rewards are just, ugh, they are either things people already have or don't want. And the discounts... Don't get me started on those. The whole point of a Rewards Program is to spend money to spend less money. Maybe I was hasty in buying gifts for other people using my Gold points... oh well. Still can't understand why they don't put more VC games up there to buy with platinum points. I'm sure they don't sell all that well so why not Nintendo? Even Nintendo realizes that your points would likely expire before something worthwhile shows up. 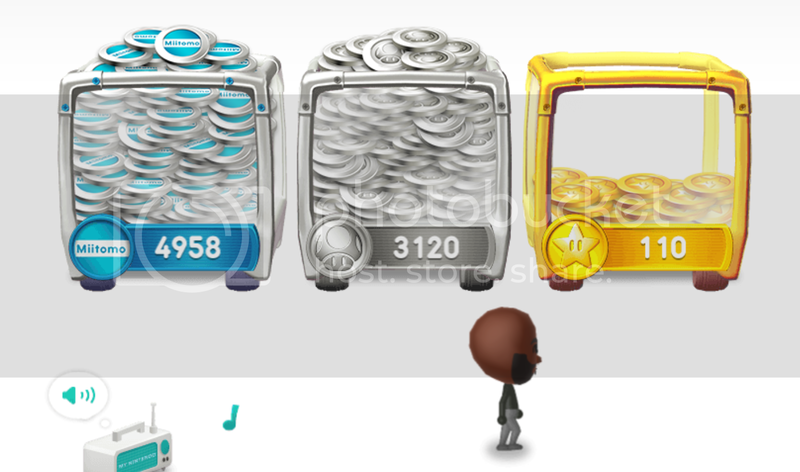 It'd be great if Nintendo would give us gold coins for previous purchases. I bought several games digitally and I think I deserve my coins. I have 3275 Plat (never got Zelda Picross) and 0 gold, everything we buy digital tends to be on my kids accounts. Which was fine on Club Nintendo b/c we had a "family" account, so all of our points were put together. Makes me worried about if NX is a hybrid will we each need our own, like a PSP. 3DS or Vita? A pseudo home console that only 1 person can play on would not be a good thing. Not good at all. Silver lining, all of the useless gold coins means we aren't losing out on anything by not getting gold coins for physical purchases. Obviously they extended the period, they are adding nothing new for spend them. MyNintendo is lame; Nintendo failed us all. Hopefully they figure out their lives shortly because no NX info and only 3DS carrying the rest of 2016 seems like a bad thing. Unless the NX is an ace up their sleeves, which doesn't seem likely right now. It's absolutely ridiculous that you cannot earn points from physical games, bring back the redemption codes Nintendo!! And physical rewards too! It's even funnier that they increased it to 12 months because they recognise there's nothing much to redeem it on. I regret not grabbing WarioWare Touched!, sure I wouldn't have used it at all because I have it on Wii U but my platinum points collection is huge at current (only bought Twilight Princess Picross). It's becoming obvious that ending club nintendo was a budget cut to their most loyal fans. Bad move Nintendo. It's an improvement, but the expiry dates are still ridiculously short. Got Zelda Picross on Monday and my plat coins sit at 0. Will leave it like that for a while. Extending validity of gold ones is a good thing though. Yea... totally been struggling to find anything to spend these stupid plats on. Even if the exchange right rate is high, I'm with @JaxonH, I'd rather have eshop wide discounts, so I can buy whatever I bloomin want. This Plat coin count would be even higher if I didn't stop caring as much for Miitomo in the recent weeks. As it stands I won't even be able to spend it all. Though I do hope they give you a notice when you have coins expiring. Well, that's good since I haven't seen anything to spend mine on yet. I've got 120 gold coins, and nothing to spend it on. Got thousands of platinum coins... Nothing to spend it on. Well if they'd put some decent stuff in their catalogue that I don't already have or make those offer A LOT more earlier then I'd gladly use them. As it is, their catalogue is very poor. I'd like to see a return of soundtrack and statues etc. that the old Club Nintendo had to offer - my points would be spent straight away then! @billsama 4 or 5 people in the comment section huh? @SavageGM Are you quoting me for a comment I made months ago? People take this comment section waaay too serious. Now if only we worthy merchandise to buy with our not-as-expiring-coins! Some more ds games to spend coins on would be nice. Thats a joke .. install the freaking donate button finally... there are more news about the "points" itself then about actual content for the points... you can extend them to 2050 - no difference. Ah yes, im sure this breaking news is to be followed soon with another announcement of some digital socks for your Miittomo cage. This is good news for users like me who don't buy that many digital downloads; it will be slightly easier to save gold coins for something we really want. I sort of regret spending some points on the Earthbound Beginnings discount this past weekend as I thought the points would expire soon. I don't mind that platinum coins still have the six month limit as they're easy to accrue. I don't even know why I bother to keep collecting the platinum coins. I got WarioWare and Zelda Picross. All that's left are giveaways and discounts for games I either already have or don't want, or stuff for Miitomo, which I never bothered with. Yay twice as long to spend them on nothing. I don't think they really ever intended to use My Nintendo until the NX launched. Hurrah! Now I can spend them....on discounts?...of selected games?! My Nintendo is underwhelming in every aspect. Club Nintendo at least gave you points for physical and digital purchases. I haven't even redeemed anything yet because the rewards are either terrible or I already own the games. @Billsama oh I didn't know that time made a BS comment invalid. "4 or 5 people on NintendoLife comments sections are not "most people" I get some are mad, but "the majority" I don't think so." I guess these comments in this post isn't the majority. Take these comment sections way too serious? No only nintendo blame deflection and sheep mentality are taken seriously. @Billsama avoid = can't debate with. Gotcha. Good, but I retired my Wii u and will probably be cartridge only on nx...so I still lose out. @SavageGM Haha, exactly my friend. Who can debate with an angry fellow who rely on insults to support their claims? @Captain_Gonru Unless they are changed to 10% off like the DDP on Wii U, or physical like Club Nintendo, they are pretty much always going to look bad and people will have no use for them. It was such a random convoluted system from day 1 - gold, platinum, Miitomo, Miiverse, 15% off, 30% off, free - they really just shouldn't have bothered. And the stupid mess was delayed about 6 months, wasn't it? 5 months old and how many people use it or like it? 15% I think would be about right. Why bother? Guess we can wait to see if it gets better after NX launches. Can't really get any worse. Another one with thousands of platinum points and zero interest in spending them on Miitomo clothes. @Billsama if those are insults the internet is no place for you. Why extend something where short term or long term you won't find anything to buy! 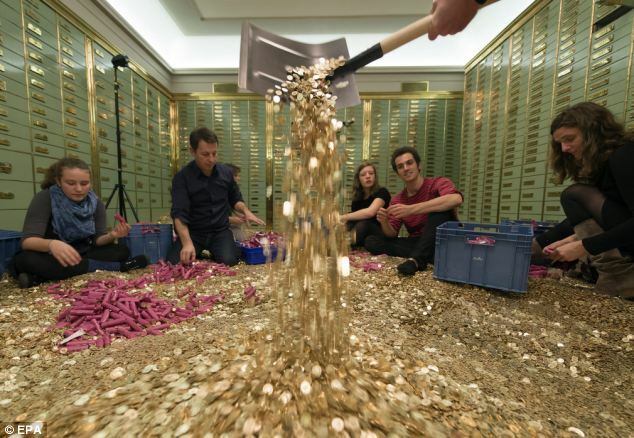 Now let's hope there's something actually worth spending those gold coins on. So my 500+ gold coins are safe...probably forever, since they won't give us anything to spend them on! Why bother, there just gonna expire anyway. Bring back Club Nintendo. I have enough gold points to redeem. We had super punch out on the European my Nintendo but they took that off. I was waiting for something better. Now I wish o redeemed that. Employees: " A YEAR, Just Give Them SOMETHING to spend these on already! " Thats good, considering I have nothing to spend mine on. Woah, never knew they were limited, that's ridiculous! I wonder if we'll even get notifications before out coins are just nabbed from us. Such a strange idea. I'm pretty sure Nintneod doesn't do studies or focus groups. If they did, that E3 NDE last year would never have seen the light of day. Started w/ Miyamoto walking thru a garden, middle was some lady knitting Yoshis, ended w/ N64-like graphics on SFZ. No wait, opened w/ SFZ, must have closed w/ something entirely forgettable. Ah, SMM, which di dgo on to be a really big deal, but the NDE still sucked. That would have been ok for a weekly series of Youtube videos called "A Day in the Life of a Nintneod Employee", but for an NDE nobody previewed it. Maybe Iwata, but nobody else. It was better than My Nintneod, but it was so bad to be at E3 I'm sure they didn't get anybody w/ any knowledge of how things at E3 work to preview it. Well maybe the guy who OK'd the Wii Music E3 demo OK'd it. But nobody w/ a pulse. I missed both Super Punch-Out and Mario 64. Hopefully they will come back someday. An extra 6mnths of wondering if they'll ever put up anything I care about. @XCWarrior Studies show it is 13.4 times worse. Seriously, just give us some rewards. PLEASE! I either already have them or they're silly Miitomo costumes. Please, just give us something to spend our coins on. Your "Just Give Them SOMETHING" fit. @Krzysztofa ..LOL yea ..I couldn't sound better...Nice 1..